Waste Watch Ottawa (WWO) released a report –Improving the City of Ottawa’s Waste Diversion Performance: Recommendations for Action – on Friday that indicated Ottawa is actually lagging behind other Ontario municipalities when it comes to diverting residential waste from landfills. As per the CBC, WWO analyzed waste diversion data from the province, as well as a 2014-2015 report from the City of Ottawa. The city diverted 42.5 per cent of its waste in 2015, compared to the provincial average of 47.7 per cent. Ottawa’s diversion rate was lower compared to other large Ontario municipalities like York Region (62.7), Halton Region (56.8), Toronto (51.6), Hamilton (46.8) and Peel Region (44). “The City of Ottawa spends considerably less per household on promotion and education to encourage higher levels of public participation and better waste diversion performance than all of the other large municipalities in Ontario and this may be one reason for poor program performance. Over the past decade Ottawa has never spent more than $0.50 per household per year whereas most other municipalities are spending double that and in some cases more than $2.00 per household”. That’s not the only problem. 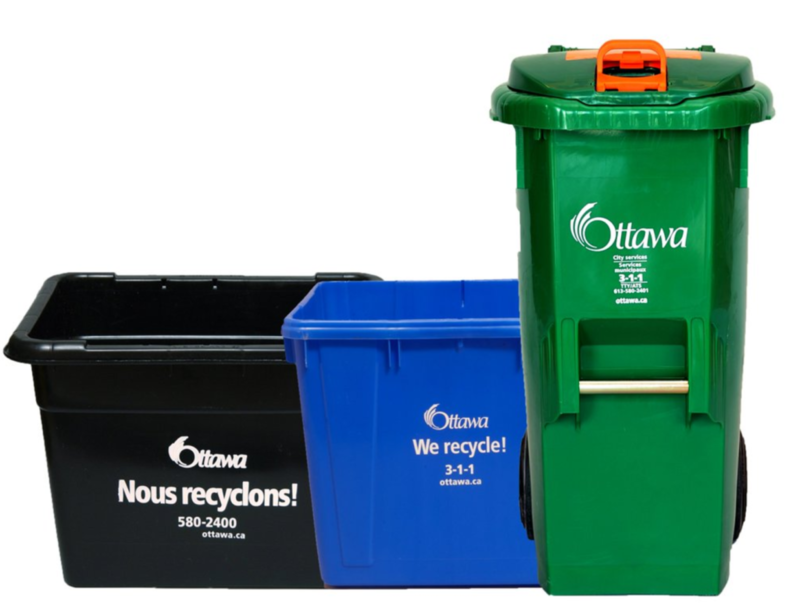 As per the Ottawa Citizen – when the city looked at the kind of garbage people were leaving at the curbside in a 2014-2015 audit, it discovered that 52 per cent of the trash bound for the dump could have been diverted to recycling programs or special waste disposal sites. To boot, people are still packing garbage bags with recyclable material, which the city can sell to offset its waste costs. Lastly, even though the municipal organic waste program has been around for 7 years, only half of the city’s residents are actually using it. Residents did a decent job of recycling glass, but they weren’t hitting the city’s waste plan targets when it came to paper, metals, plastics, organics and yard waste. A diversion rate of 42.5 is not good. Ottawa’s diversion rate improved to 44 per cent by the end of 2016, but it had dropped from the 45 per cent recorded in 2014. You can read the report in it’s entirety, here.